The magic of Sailor Moon is infectious – just ask the countless girls (and boys!) who’ve discovered the thrills of pretending to be short-skirted teenagers vanquishing evil with the power of friendship. It helps that the Sailor Soldiers’ accessories are not only pretty, but useful, too. 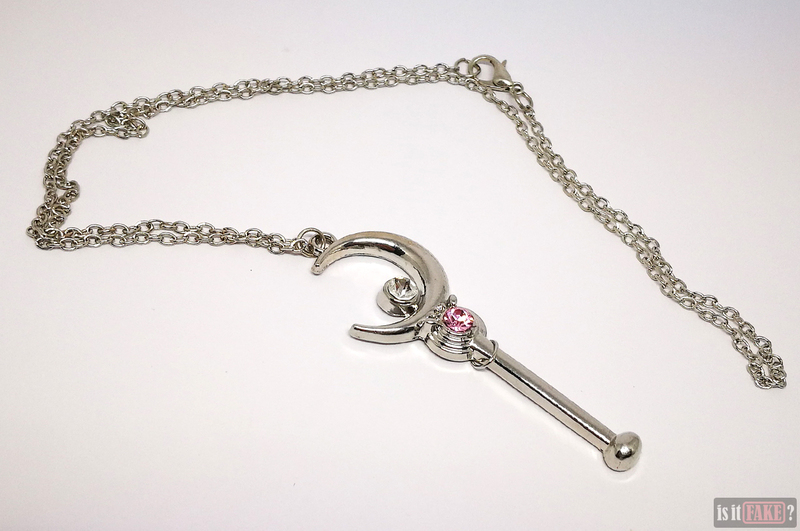 Case in point: Sailor Moon’s Moon Stick. Sure, she didn’t whack enemies on the head with it, but she did use it to heal people who had been corrupted by evil. Who’d have thought compassion and hope were such effective weapons against the bad guys? Sadly, the villains of the real world are a tad tougher to thwart. Pirates and bootleggers abound, eager to squeeze the value out of everything we love. To put an end to their practices, we’ll need more than good vibes and endless optimism; we’ll need patience, sound knowledge, and a critical eye to distinguish the real from the counterfeit. If you’re looking for quality items, Chinese online stores are dangerous waters to tread. Their sellers will try to entice you with pretty pictures of their products, but don’t let that fool you for a minute. A vast majority of the items for sale on such sites are fake. 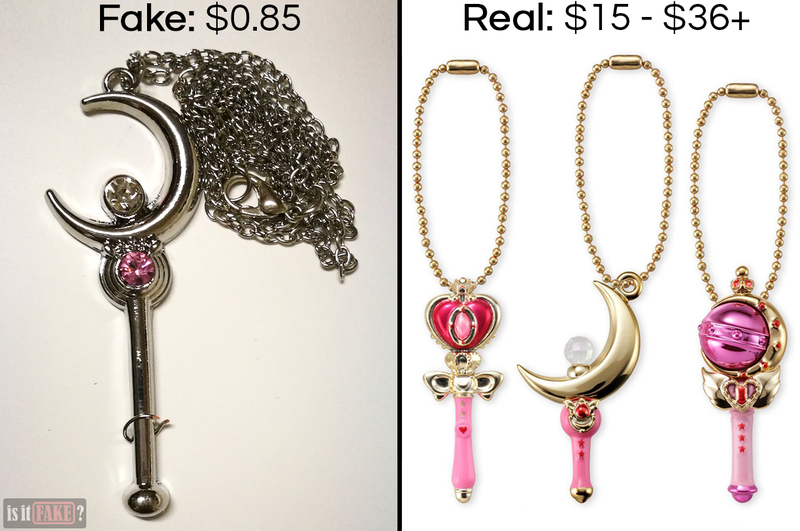 The fake Sailor Moon Moon Stick pendant is a great example of a fake being sold on a Chinese online store. The seller lists Kefeng Jewelry as its manufacturer. A quick Google is enough to show you that Kefeng Jewelry is indeed a manufacturer of jewelry. Unfortunately, there’s no evidence they have the rights to produce Sailor Moon items. 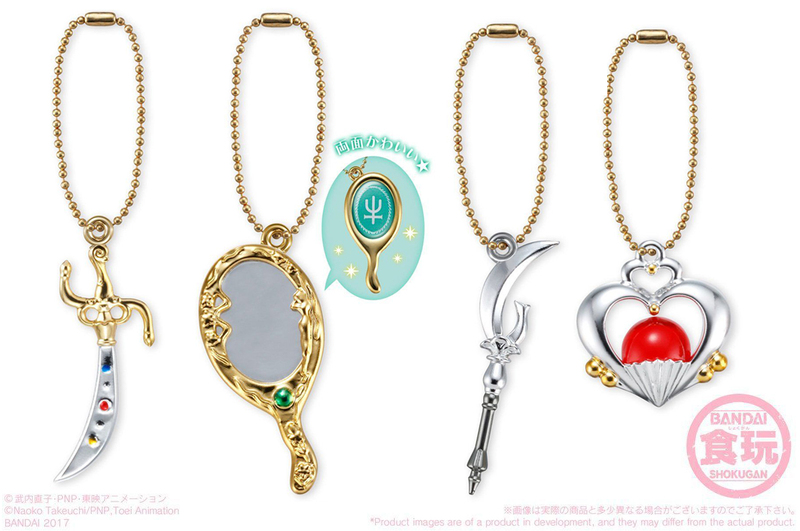 The official Sailor Moon website provides extensive information about all its product manufacturers and distributors, and there is no mention of any Kefeng Jewelry. Interestingly enough, you can only purchase Kefeng Jewelry’s products from those shady Chinese online stores and the equally dubious eBay. 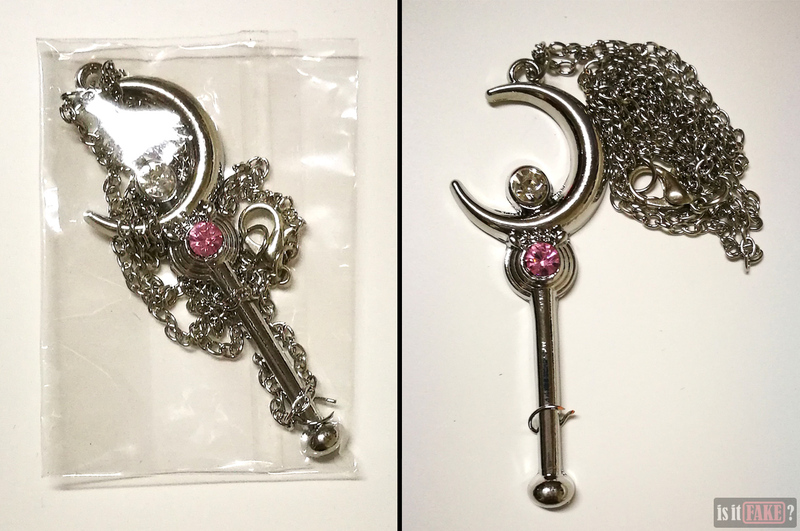 The fake Sailor Moon Moon stick pendant was wrapped in nothing more than thin, transparent plastic. This “packaging” doesn’t include any tags identifying its manufacturer or providing any licensing information. These are huge red flags, as officially licensed products always come with such information. Measuring around 6cm long, the pendant itself is nothing special. Even in a well-illuminated room, the “silver” looks dull, and thus fails to evoke the kind of awe we usually reserve for beautiful, high-class jewelry. That’s because the pendant doesn’t look like jewelry at all. Lacking the star-like sparkle associated with luxury ornaments, it looks nothing more than a cheap toy plated with chrome. You can even see some discoloration on the back. There’s a good chance this will spread over the pendant’s surface in time, turning this mediocre knickknack into something even less appealing. A lot of cheap metal jewelry made in China have been discovered to contain dangerous amounts of heavy metals like cadmium and lead. When exposed to young children, unacceptable levels of such metals can hamper brain development. Items with hazardous materials are therefore best (safely) disposed of as soon as possible. Better yet, avoid buying suspiciously inexpensive Chinese-made jewelry in the first place. 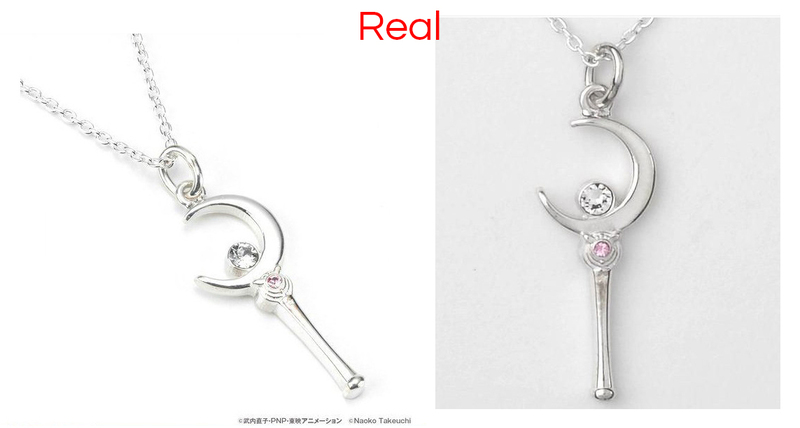 With that said, let’s now compare this fake to Bandai’s official Moon Stick pendant, which was part of the Bandai Fashion Collection and the Sailor Moon 25th anniversary celebration. The official pendant is a thing of beauty. The silver is lustrous because it’s silver 925, which is 92.5% pure silver. Also, as the silver is not mere plating, it can’t be scraped off. Silver 925 is durable because the remaining 7.5% is a sturdier metal – usually copper. As for the pendant’s crystals, they’re from Swarovski, a renowned Austrian producer of crystals. So yes, those crystals are real. 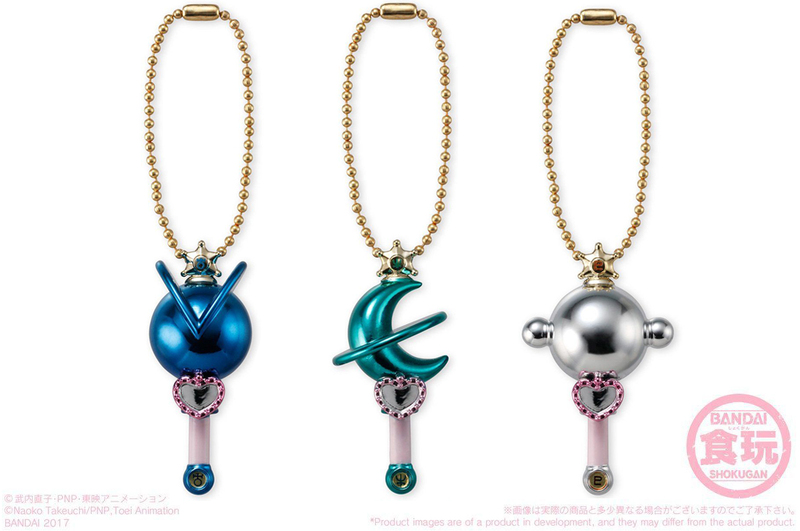 Sadly, Bandai’s official Moon Stick pendant was a limited exclusive and is thus no longer available. But fret not! 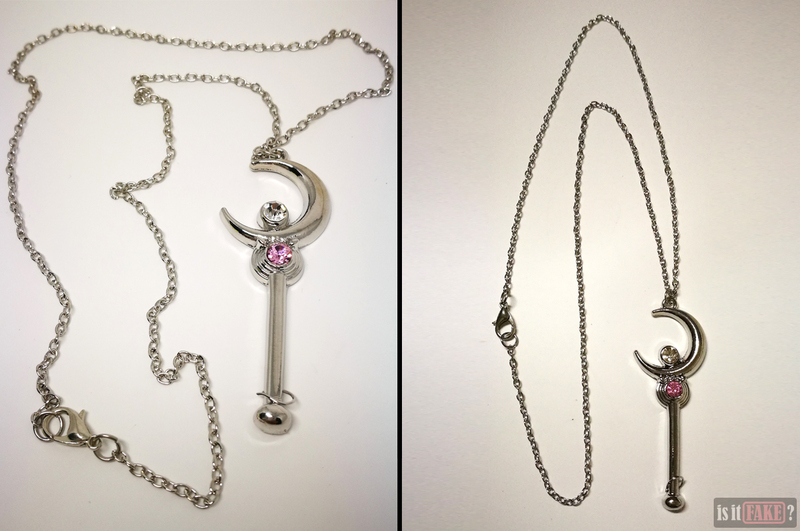 There are other beautiful Sailor Moon items up for grabs. 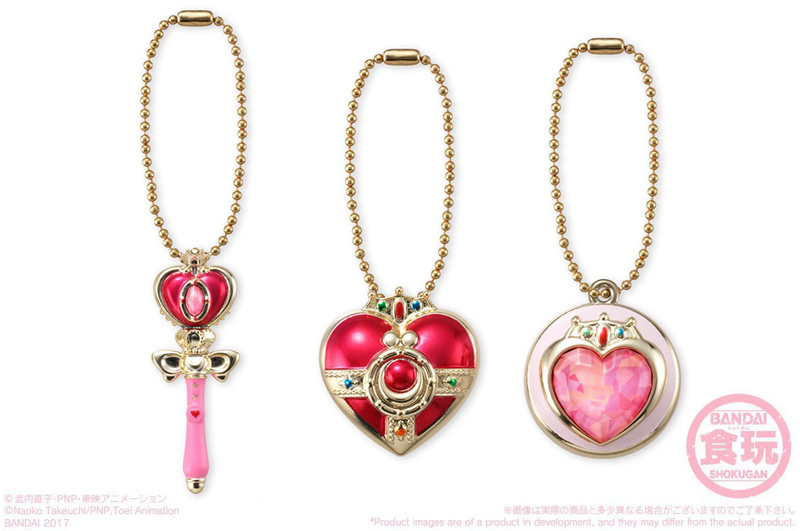 Official Sailor Moon jewelry and accessories may cost more, but they’re nowhere near too expensive. More importantly, they’re exquisitely gorgeous, so much so that you’d want to show them off when you’re out in public. If it’s legit stuff you want, making a stop at the official Sailor Moon website is a no-brainer. The site is in Japanese, but a translator app or extension should make browsing the site possible for those who don’t speak the language. The site has many sections, one of which is the Official Store. This contains pertinent information about the physical Sailor Moon store in Japan, such as its address and contact information. If you’re shopping online, however, your best bet is the Goods section, which provides a huge list of all current officially licensed Sailor Moon products, from toys to candy to apparel. Each item page gives you a link to the shop(s) it can be purchased from. 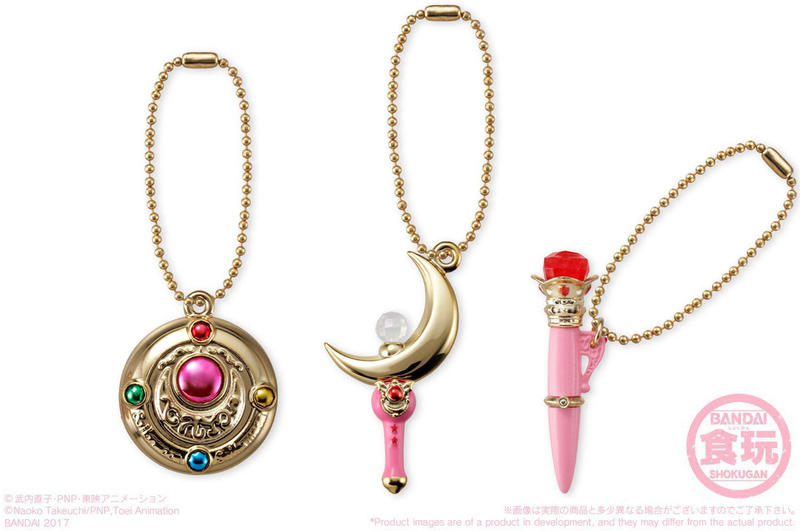 Bandai is the major manufacturer of Sailor Moon accessories. 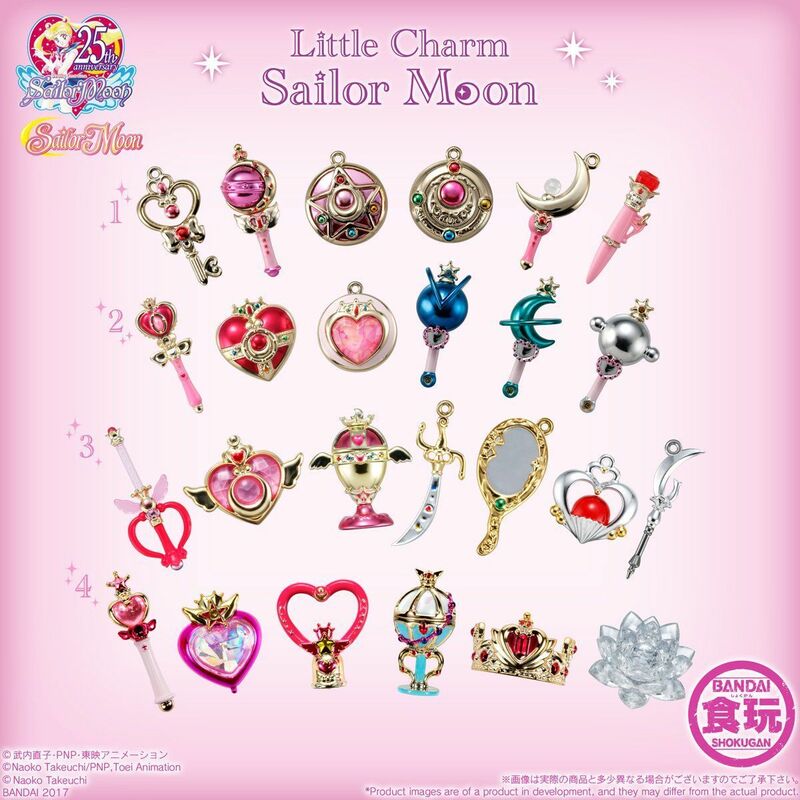 Their current most attractive line of accessories is Sailor Moon Little Charm, which comes in four sets. Each set costs $36 and includes 6 items, except for the third set, which boasts 7. 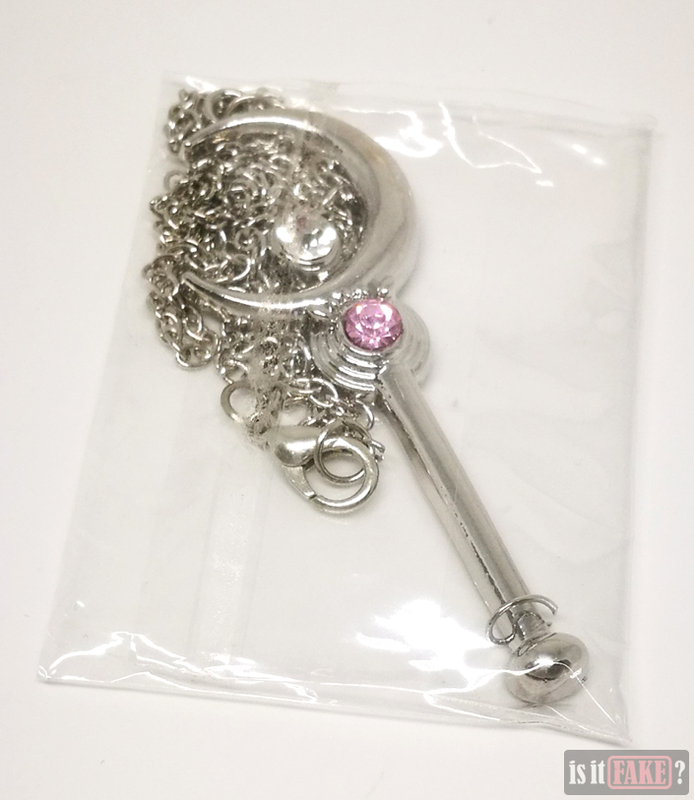 Sailor Moon Charm Set 1 is currently out of stock, but you can keep track of it so that you’ll know once a new batch is available. 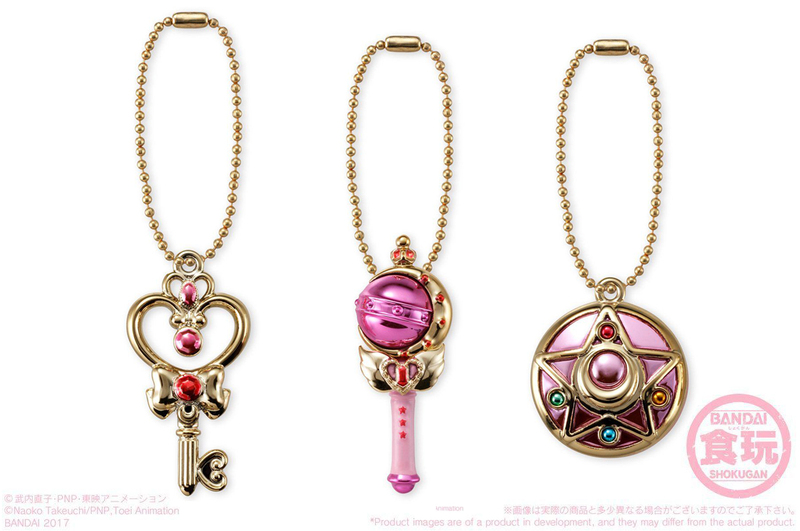 Sailor Moon Charm Set 2 is available, so make sure to place your order while supplies last. Sailor Moon Charm Set 3 will be available this December 2017. You can pre-order the set so they’re reserved under your name. 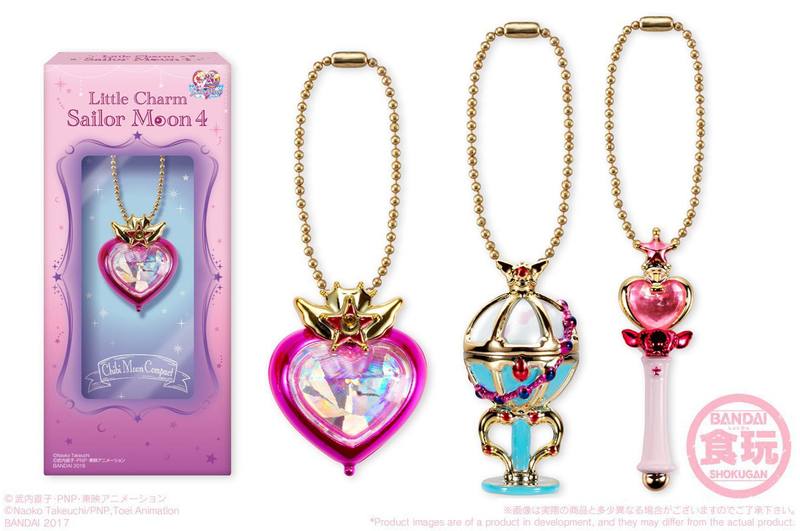 Sailor Moon Charm Set 4 will be available in February 2018. You can also have this set reserved so that it will be delivered to you once it’s released. 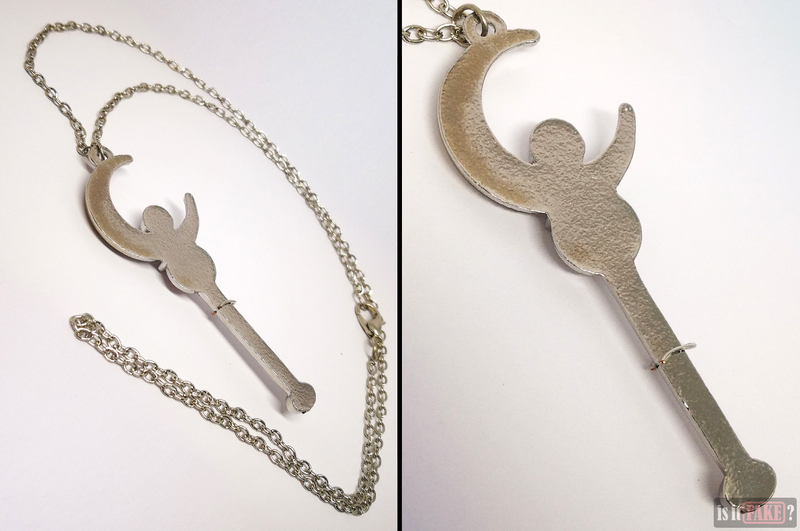 While these charms aren’t technically necklaces, you can remove their chains and replace them with longer ones that can be looped around your neck. 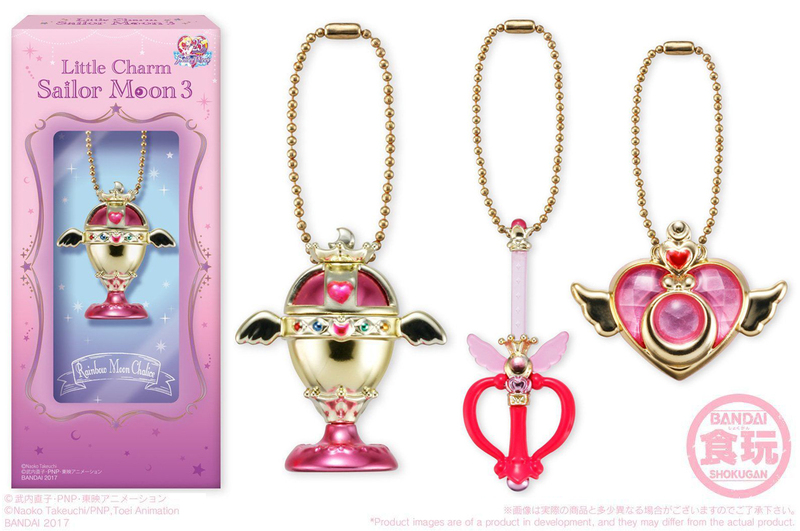 Alternatively, you can visit AAA Anime for some Great Eastern Animation Sailor Moon items. Great Eastern Animation’s necklaces cost $16 per piece. 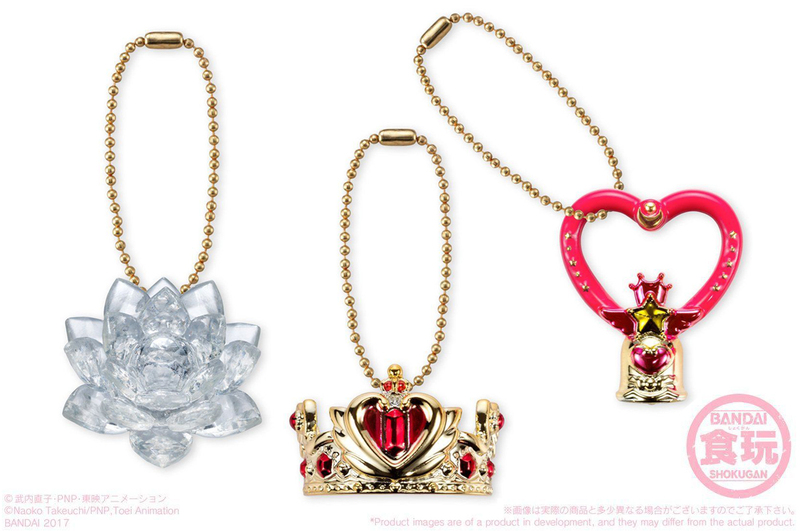 Below are examples of their necklaces. Lastly, if it’s a life-size replica of the Moon Stick you’re craving, Bandai has once again got you covered. 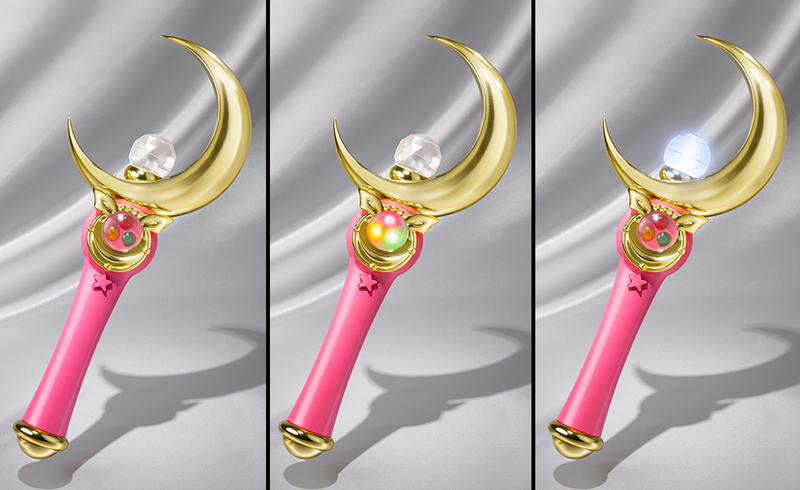 Tamashii Nation’s Moon Stick replica is stunning, show-accurate, and even comes with sound effects and vocal recordings, and crystals that light up. This item can be purchased on Amazon Japan for $88. There are few things more disheartening than mediocrity. 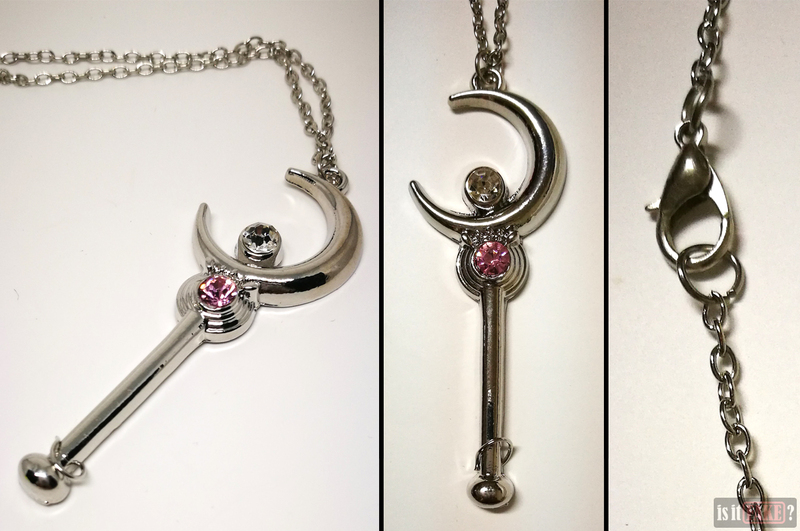 Regrettably, this fake Sailor Moon Moon Stick pendant is the very definition of the word. With its cheap chrome-like surface and plastic crystals, it lacks the luster and luxuriousness of real jewelry. It gets an 80% terrible rating, so stay away from it.